Collecting rare coins can be an extremely rewarding investment, but valuing a coin is a daunting experience for many beginners. Fortunately, the practice of valuing a rare coin is the responsibility of third party grading services. Centralizing the process of grading coins brings clarity to the world of coin collecting and gives people a reference point for the value of their own coins. Today, the two most widely-regarded coin certifications companies are Numismatic Guaranty Corporation (NGC) or Professional Coin Grading Service (PCGS) – and coins reviewed by each company can also be referred to as “NGC coins” or “PCGC coins,” depending on which company certified the coin. Both companies have begun a new practice of creating signature coins, which are certified coins of the highest caliber that are verified and signed off by members or former members of the U.S. Mint. Coins today are graded on a slightly modified Sheldon scale, which was originally developed by Dr. William Sheldon in 1949. The scale operates on a 70 point scale that assigns a numeric rating to each coin based on its condition – coins in better condition receive a higher number rating. The scale also differentiates coins based on whether or not they were circulated – circulated coins can receive a point value between 1 to 58 points whereas uncirculated coins are graded between 60 to 70 points. It’s important to note that the upper echelons of the uncirculated coin grades are extremely difficult to reach – there are only a handful of coins that have achieved Mint State 70 (MS 70) status, almost all of which are signature coins. Edmund C. Moy was the 38th Director of the U.S. Mint, and he signed just a handful of MS70 Silver Eagles, one of the most popular rare coins. 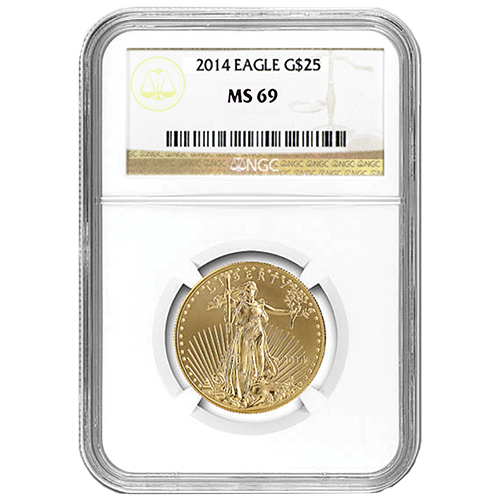 MS70 is the highest grade a coin can achieve. John Mercanti was the 12th Chief Engraver of the U.S. mint, and he signed a number of MS70 Silver Eagle coins. Michael Reagan, son of President Ronald Reagan, signed commemorative gold coins to celebrate his father passing of the Gold Bullion Act of 1985. Joel Iskowitz is one of the most prolific designer of coins and medals alive today. His work is displayed in the US Capitol, Pentagon, and White House. Thomas S. Cleveland is a critically acclaimed designer for coins and medals in the U.S, where he carries design credits for 15 different U.S. Mint coins.